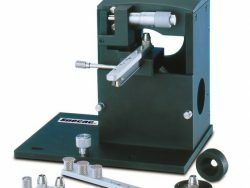 The RangeIR™ is a powerful tool for the analysis of liquids, pastes, and gels under controlled temperatures up to 175°C. 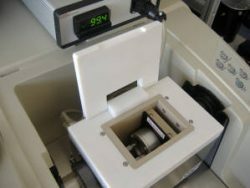 The unique design allows the safe use of the sample temperature itself in this control, an invaluable feature for rigorous studies. Reactants and reaction products can be monitored as a function of temperature. 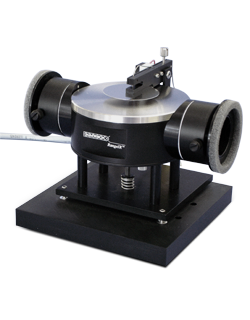 In addition, the RangeIR™ can be used for sensitive measurements on dissolved or suspended species, by using the elevated temperature to volatilize an interfering liquid. The RangeIR™ allows routine quantitative and qualitative measurements on temperature-controlled liquids, pastes, and gels. Applications include real-time in-situ monitoring of reactants and reaction products in liquids as a function of temperature and analysis of dissolved or suspended species in interfering liquids. 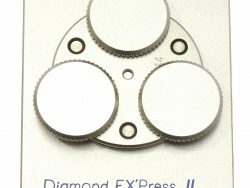 SuperCharged™ ZnSe ATR Crystal or Gemanium ATR Crystal. Secondary K-type thermocouple monitors the crystal temperature, permitting the cascade temperature regulation required as a fail-safe for high temperature operation. 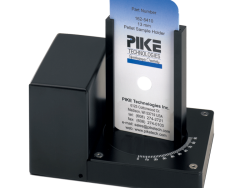 Requires the Low Voltage Temperature Controller for precise and safe regulation of the sample temperature, with options for direct, cascade, and computer control. Available in a specialized configuration for trans fat analysis (see Harrick’s System data sheet). SuperCharged™ ZnSe mounted ATR crystal or Ge ATR mounted crystal.